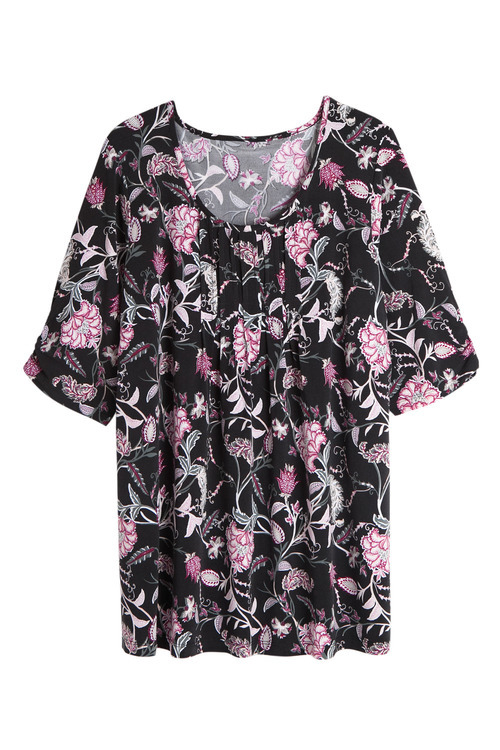 Stock Low : 5,412 items left. 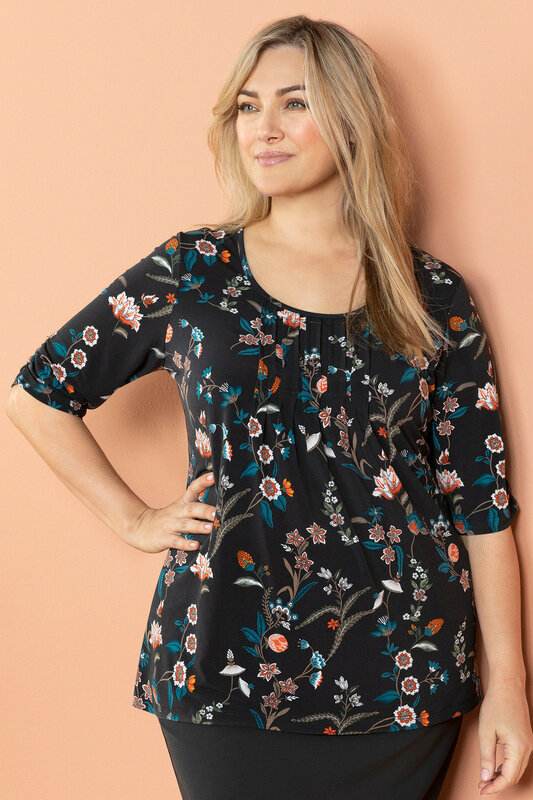 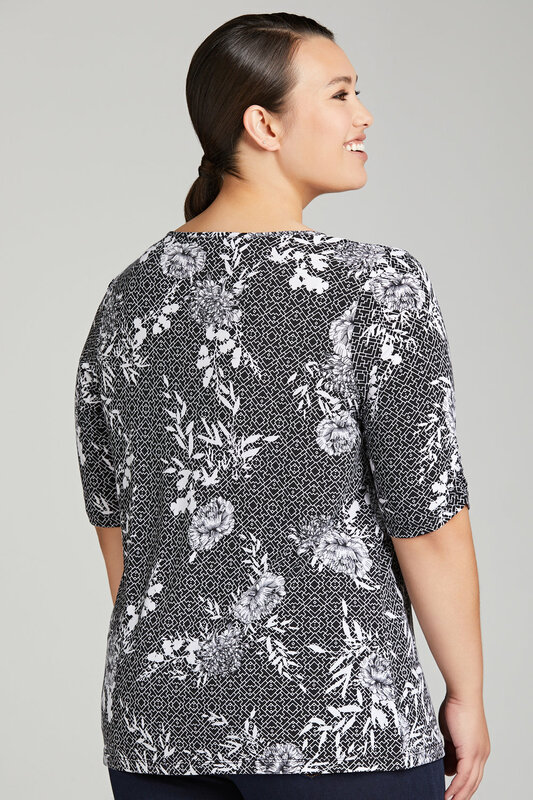 Crafted from a soft and stretchy fabric that washes and wears incredibly well, Sara's Scoopneck Tee is dressed up with pretty pintuck and pleat detailing. Cut with a round neck and elbow length sleeves, this versatile tee will take you through work to weekend with endless outfit options. The pintuck pleats provide extra room for the movement through the front, draping elegantly on the body without clinging. 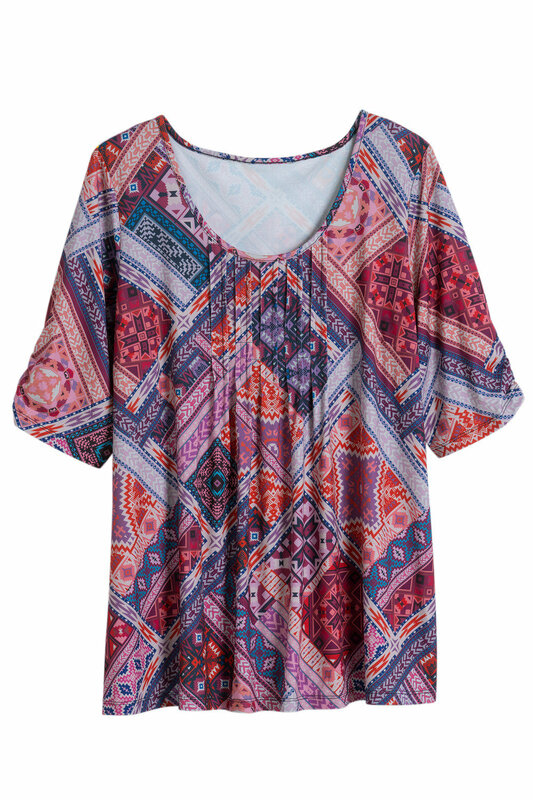 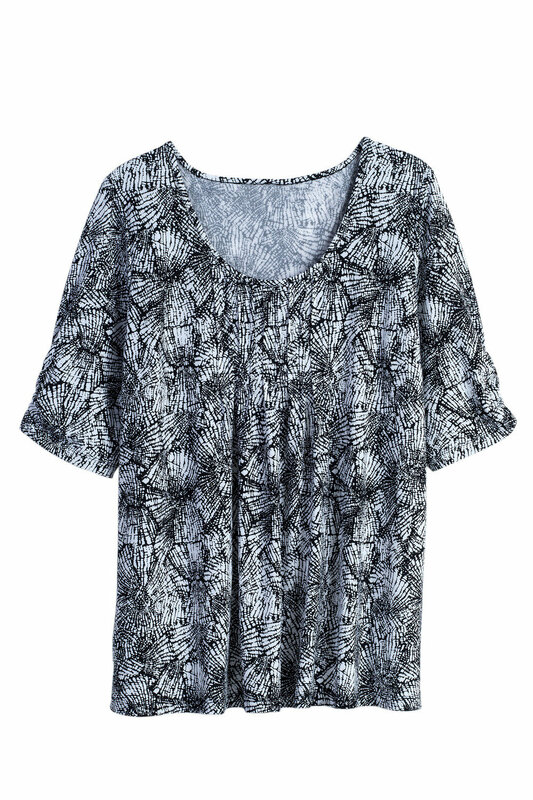 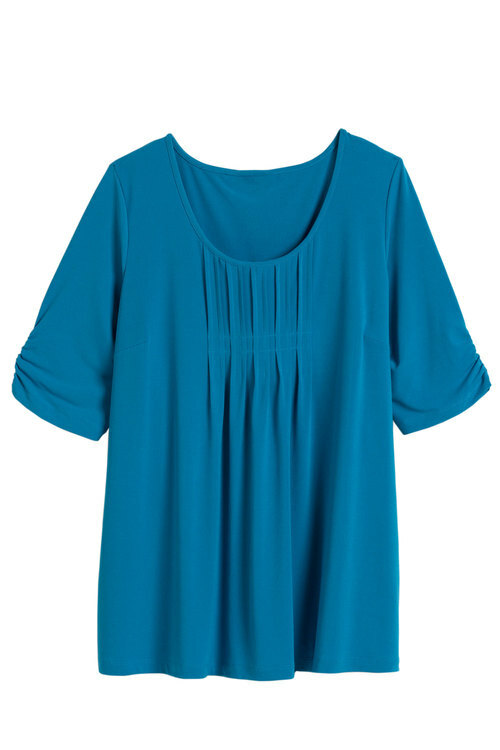 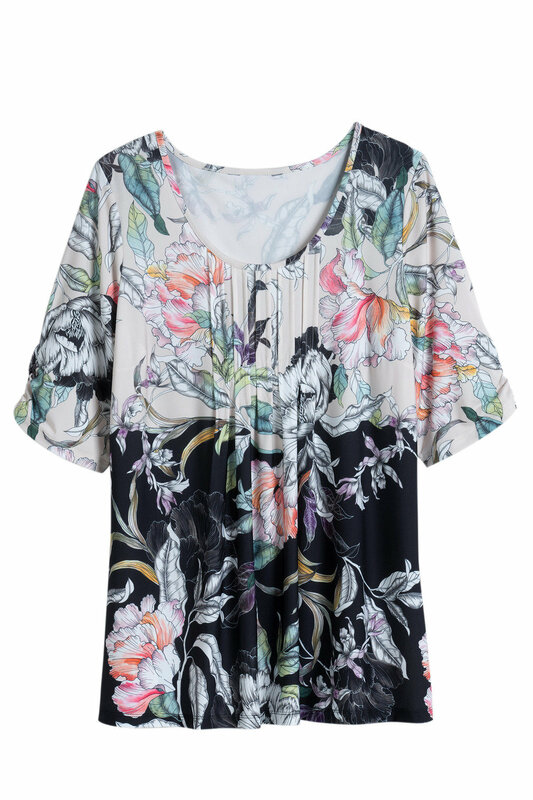 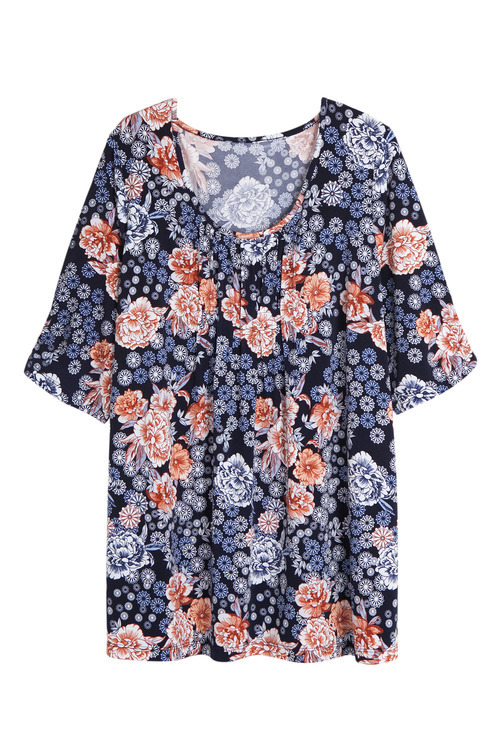 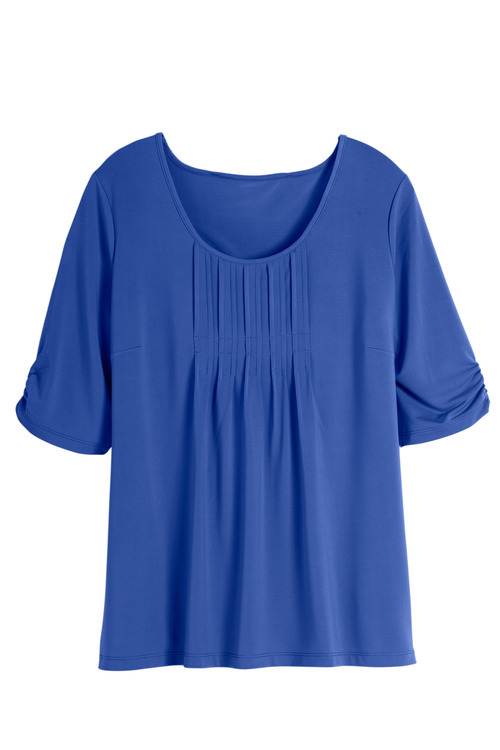 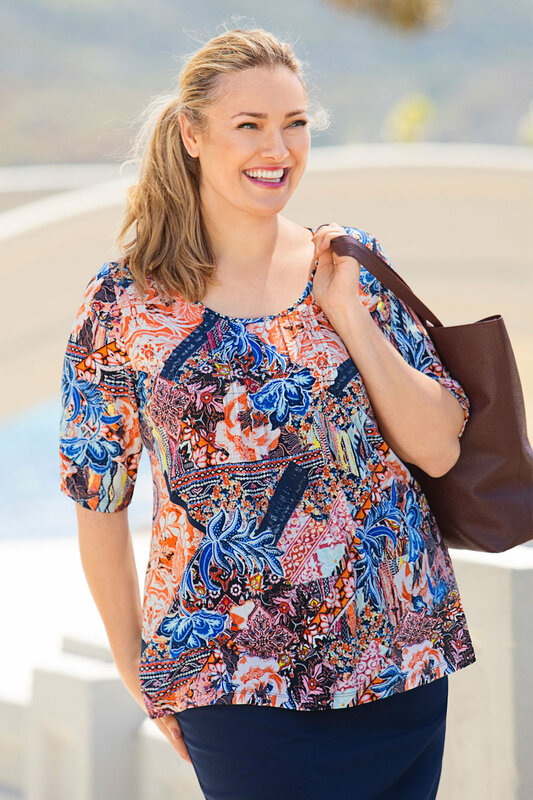 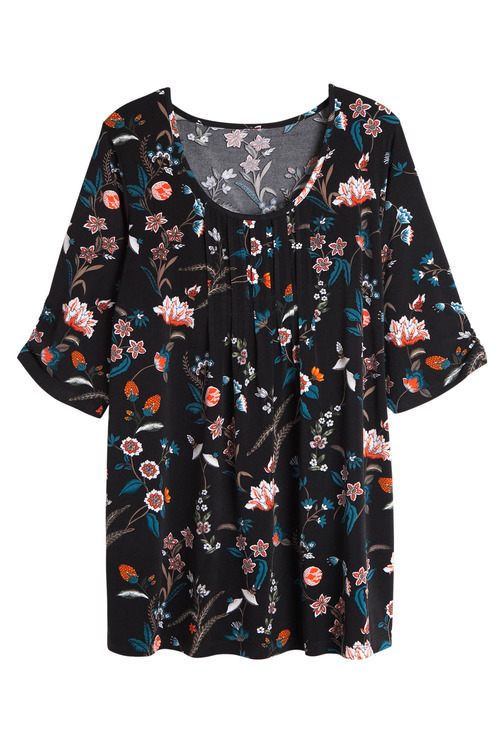 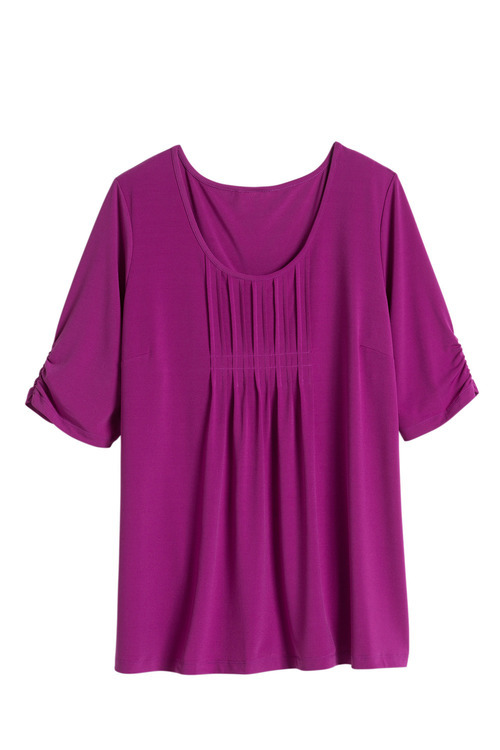 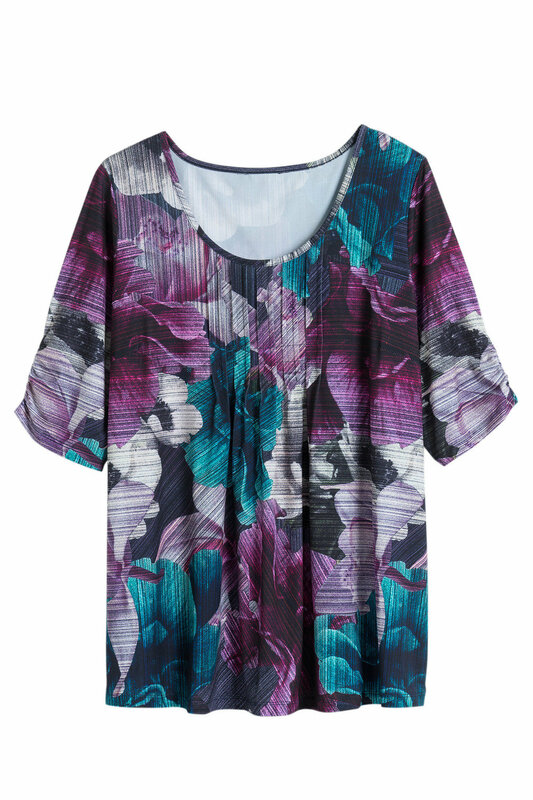 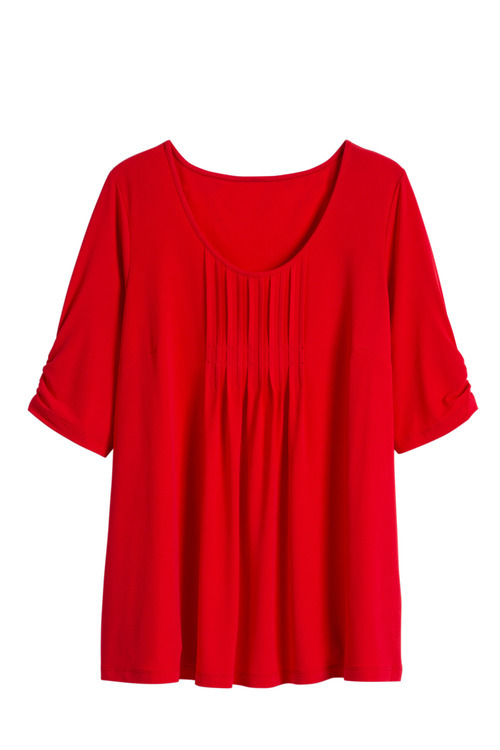 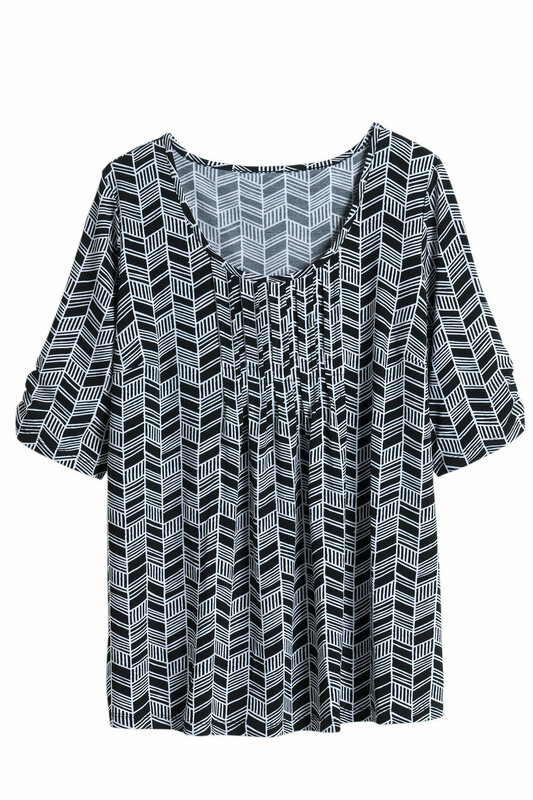 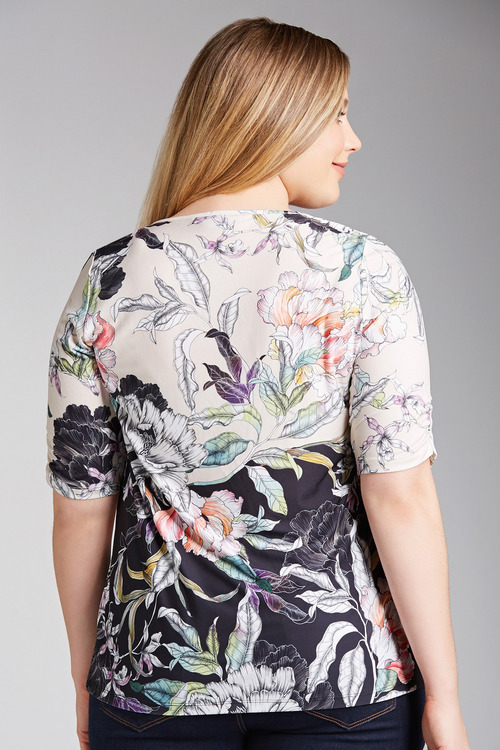 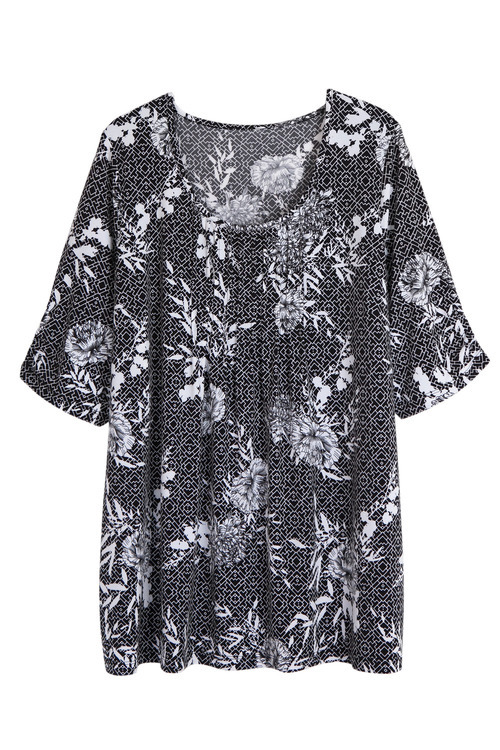 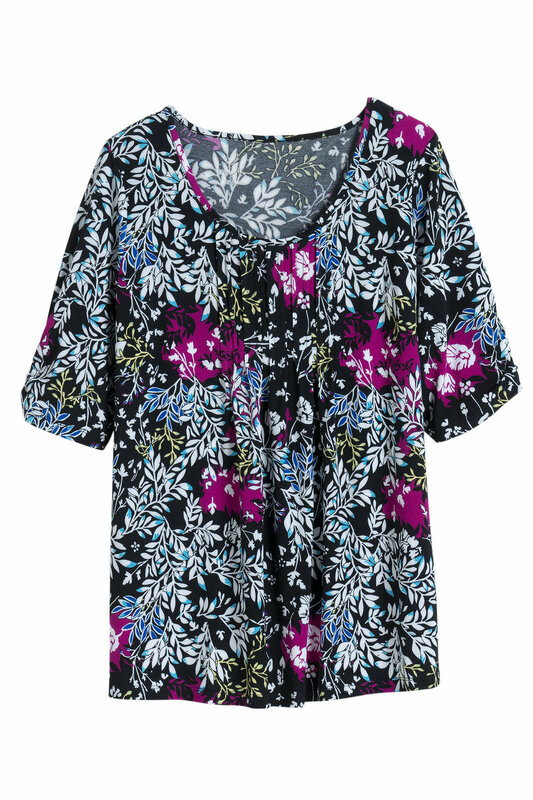 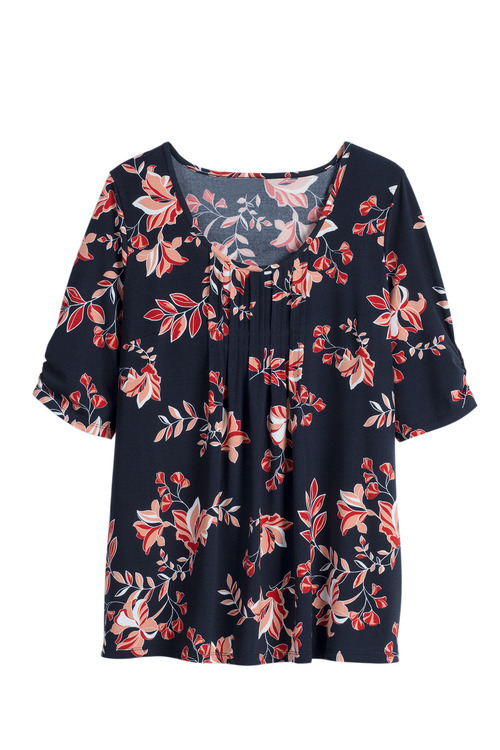 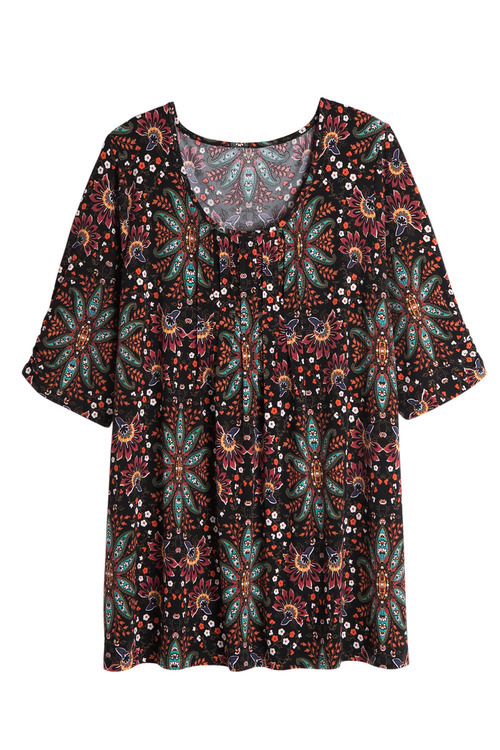 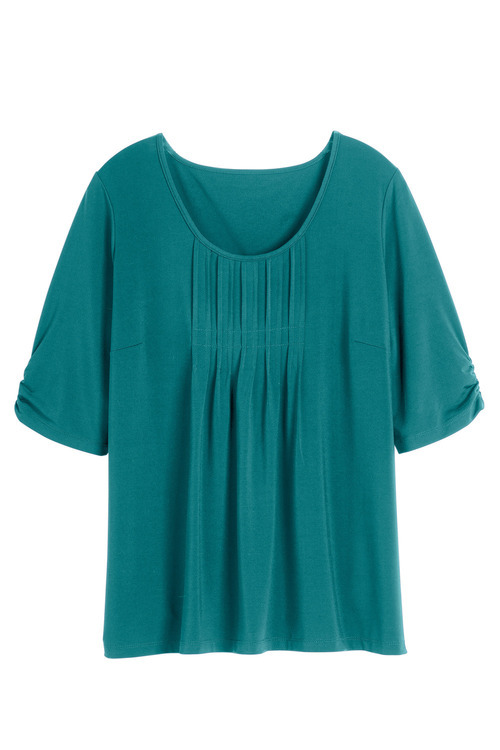 Effortlessly dressed up or down, this top looks equally great with jeans, trousers, leggings and shorts.